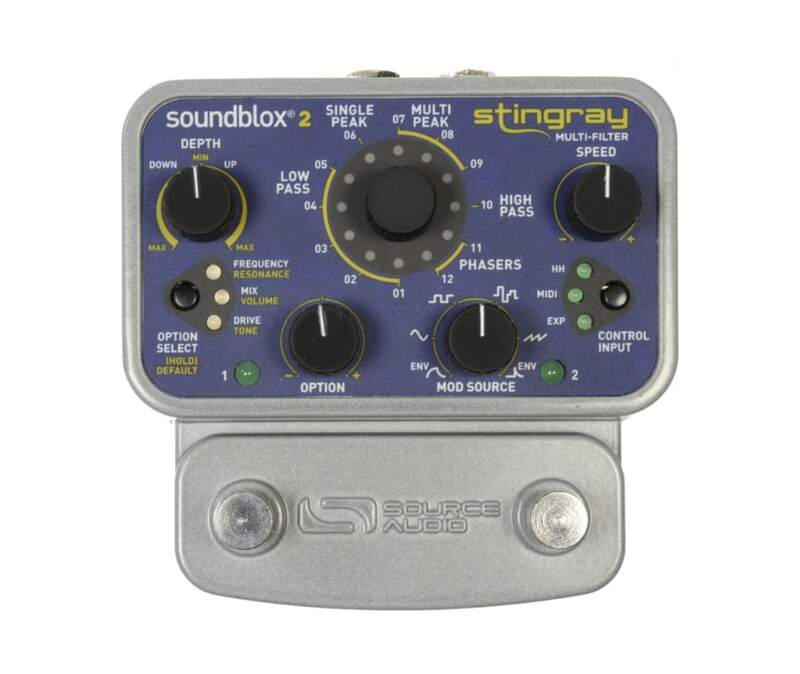 The Stingray includes 12 diverse flavors of low pass, high pass, phaser, single peak, and multi-peak filter effects, and each can be controlled via any of the pedal's four modulation modes: envelope follower, LFO, expression pedal, or Hot Hand. The Stingray's four LFO waveforms include sine, square, random sample and hold, and saw tooth, and it's easy to sync LFO modulation to a drummer or backing track with the Stingray's pin-point-accurate Tap Tempo function. For a more hands-on approach, plug in the Source Audio Dual Expression Pedal or Hot Hand wireless motion sensing ring and take manual control of filter modulation or any of the Stingray's nine knob parameters.